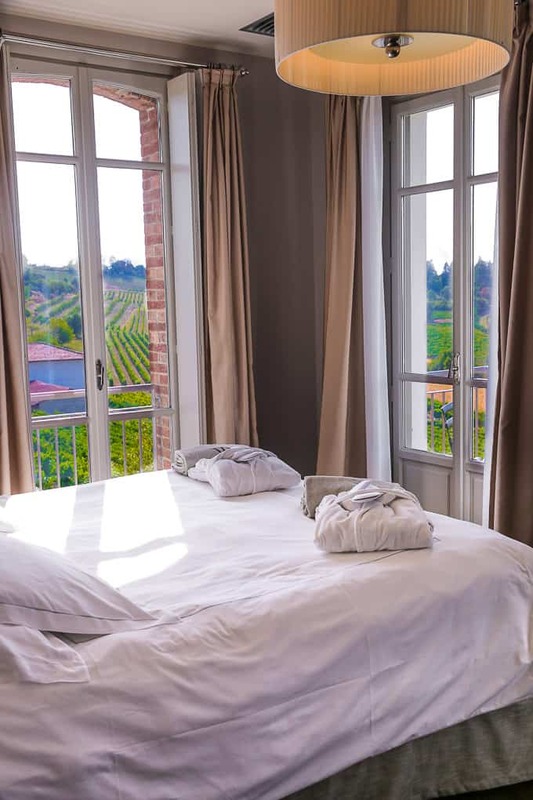 Villa Pattono is a luxurious hotel located on a hill with fantastic views of vineyards. 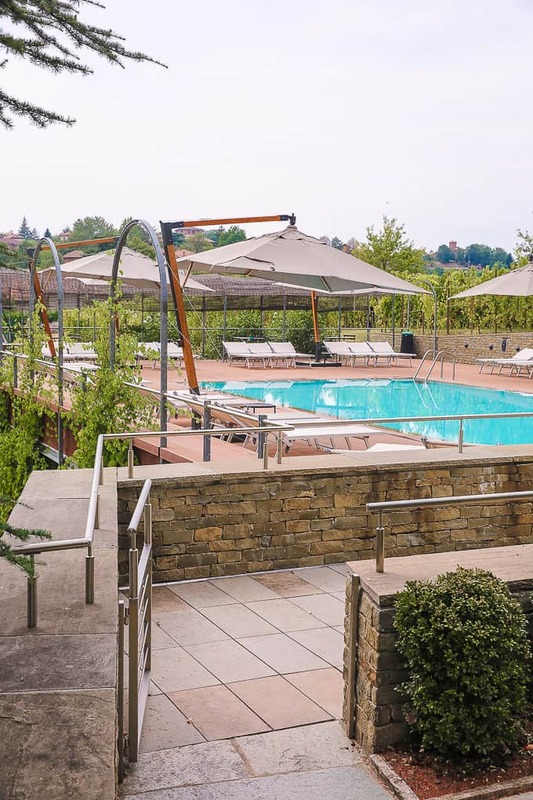 Situated in the Piedmont region of Italy, between Langhe and Monferrato, Villa Pattono is an oasis of tranquility. 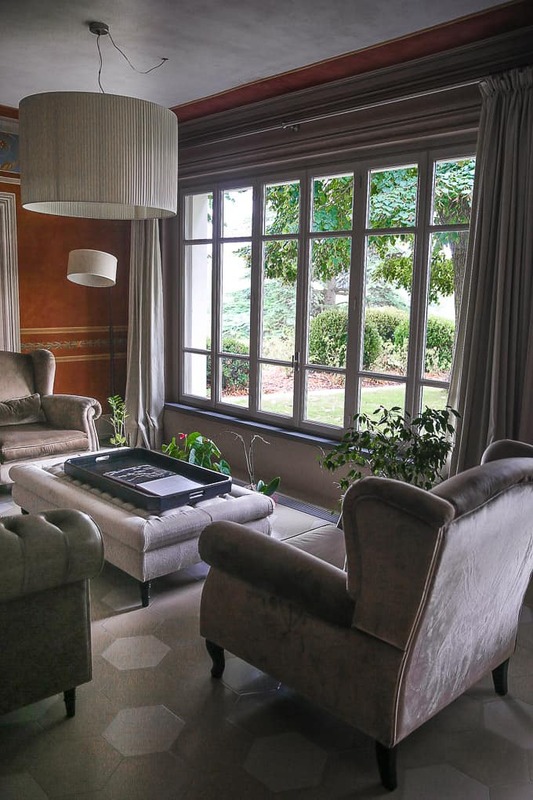 Villa Pattono is located in Costigliole d’Asti in the Piedmont area of Italy. The villa was originally a country residence in 1700’s. 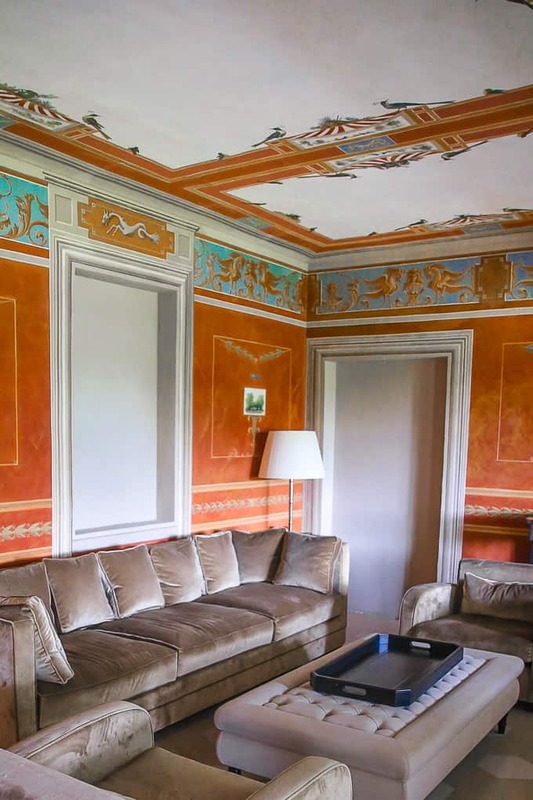 It was acquired by the Pattono family and was completely renovated, at the same time carefully preserving the property’s historical value. 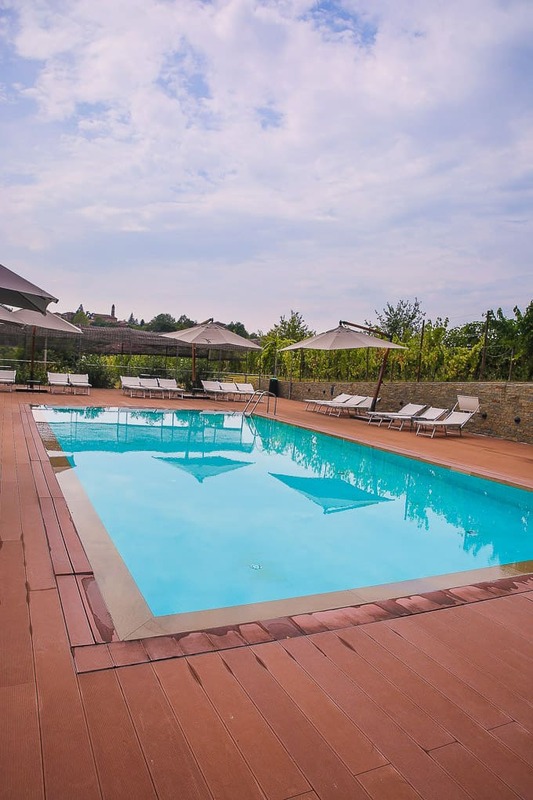 Villa Pattono is a boutique hotel which creates an amazing sense of privacy. 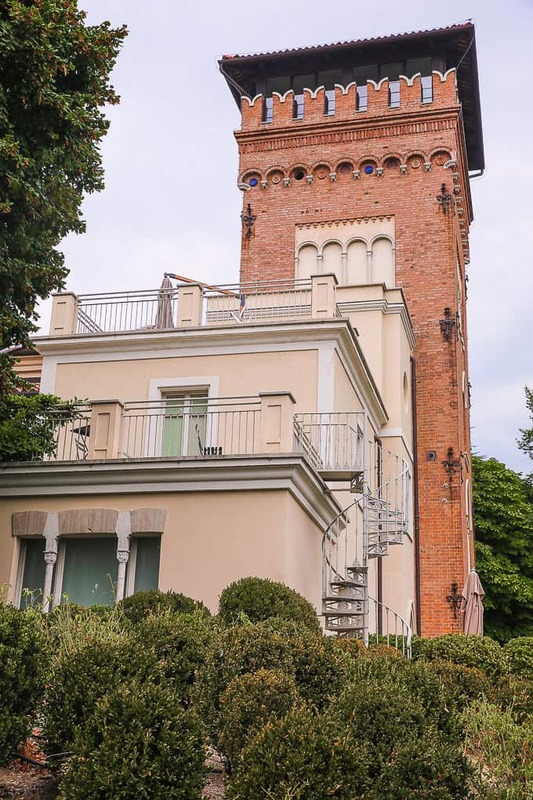 One of the highlights of the hotel is the spectacular Neo-Medieval Tower on the villa’s property. 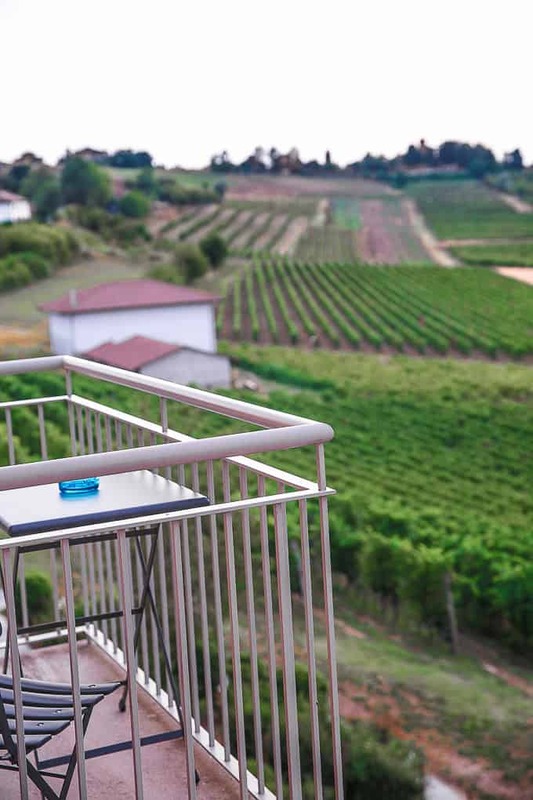 You can stay at the Tower Delux Suite and enjoy a 360-degree-view over the vineyards and the countryside. Costigliole d’Asti is a small Italian village in Piedmont, Italy. 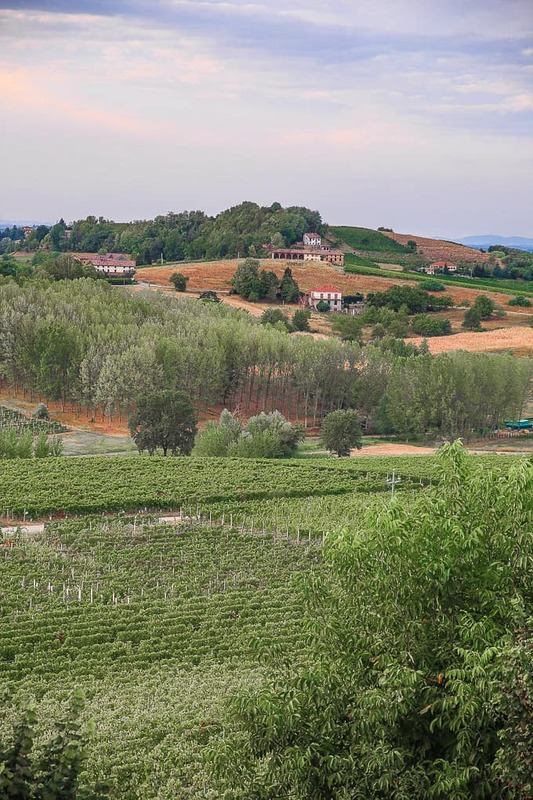 It is located 13 km south of the city of Asti. 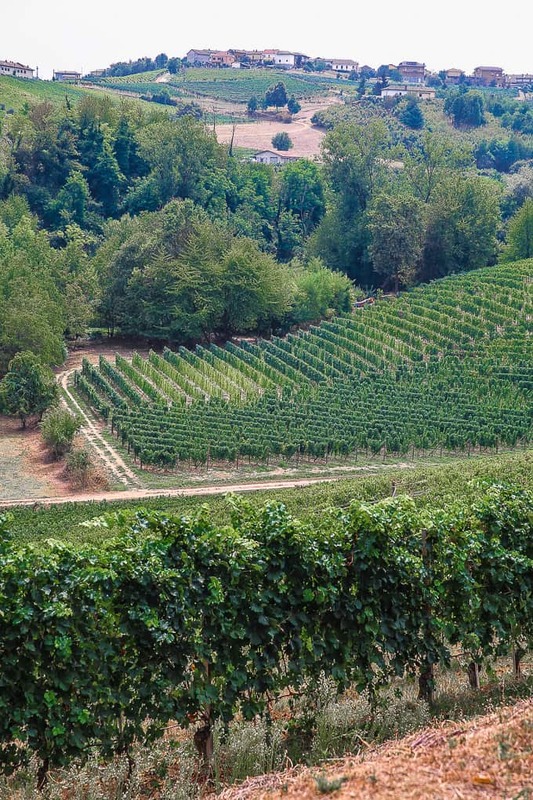 Costigliole d’Asti is known for its wines. 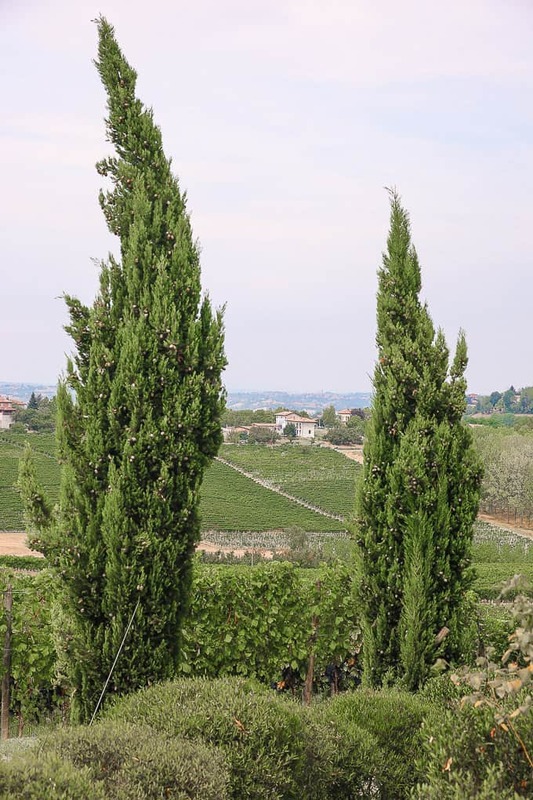 Major grape varieties grown in Costigliole d’Asti include red wine grapes, such as, for example, Barbera and Dolcetto. White wine varieties grown here include Moscato Bianco, Cortese, and Chardonnay. 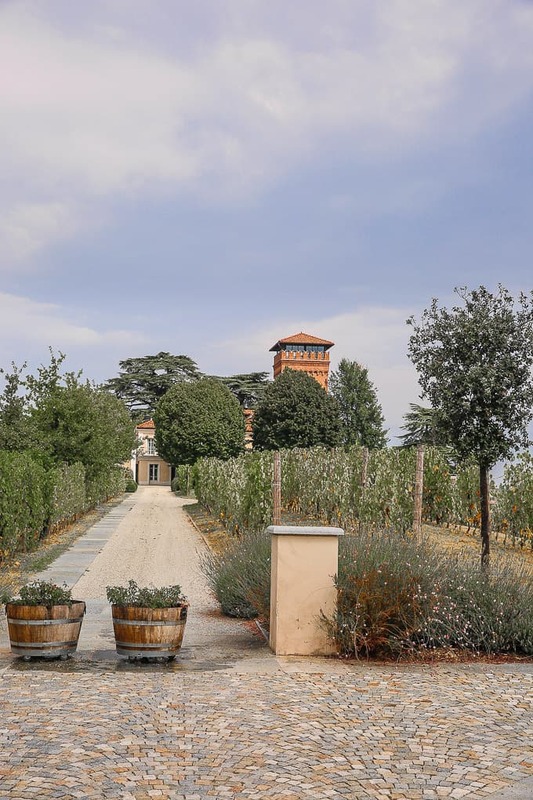 Villa Pattono is located in a quiet area surrounded by vineyards. There are many local restaurants in the area, and each night you can drive to a different place to eat. The restaurants close to Villa Pattono are authentic, reasonably priced, and offered a really good local, authentic food. 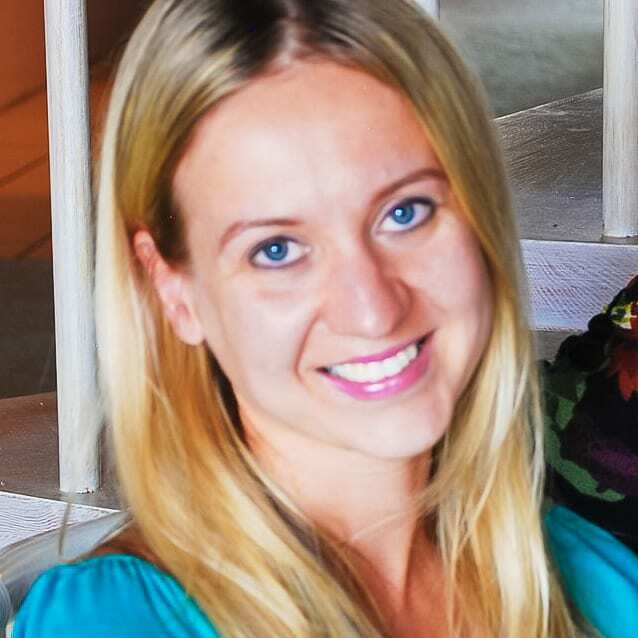 I loved the experience of exploring a new local restaurant each night. 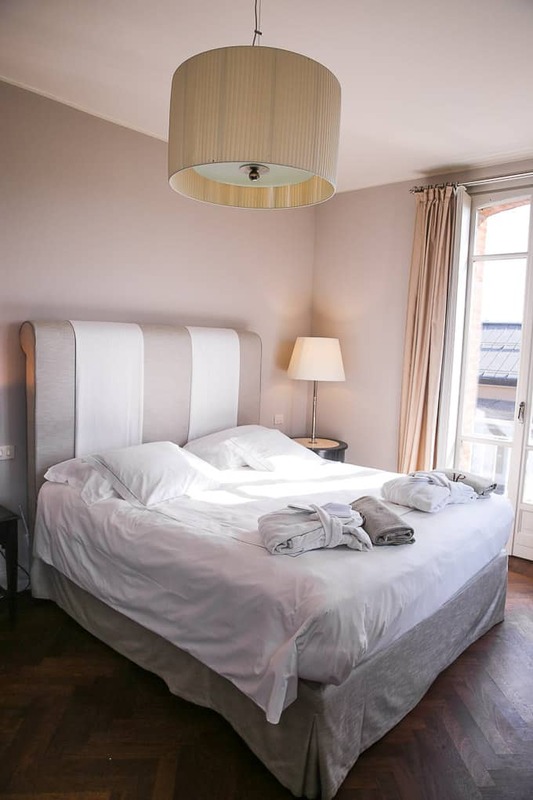 The rooms are recently renovated with multiple sets of windows to create a very sunny atmosphere in every room. 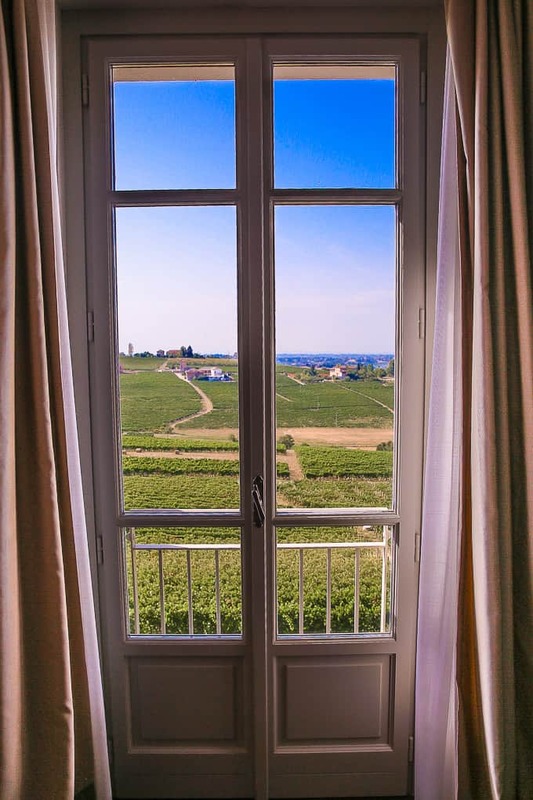 Our room had a spectacular view of the vineyards and the rolling hills. 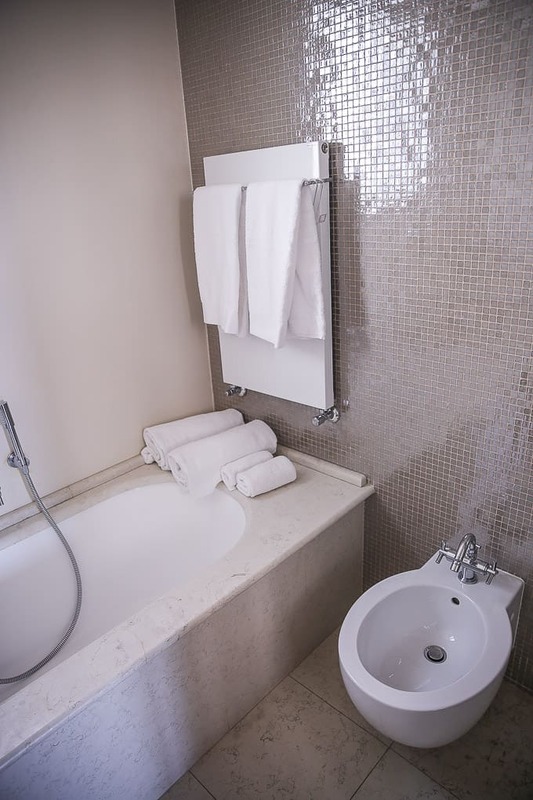 The bathrooms are modern with everything you need for a comfortable stay. 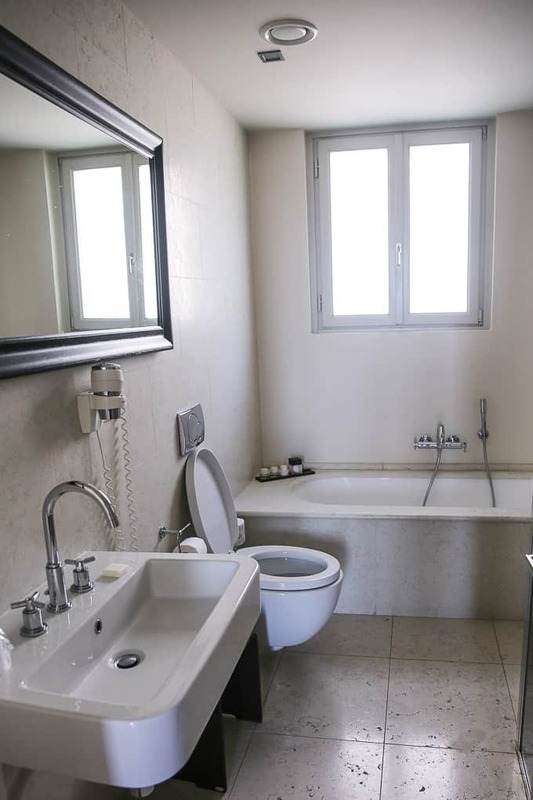 The property has a large swimming pool with comfortable chairs and large umbrellas. 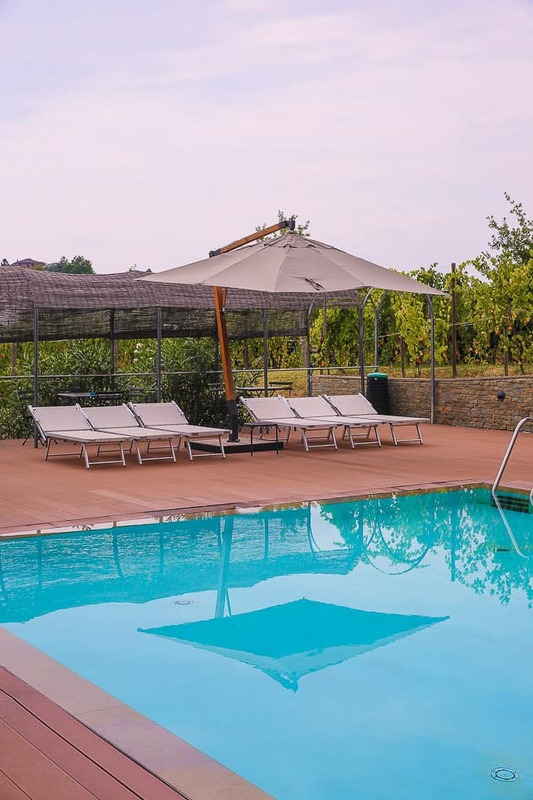 The pool is surrounded by the vineyards. 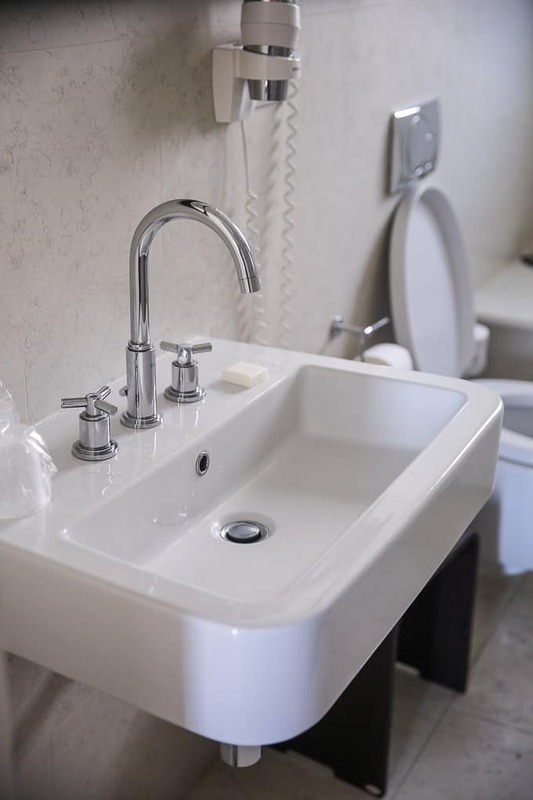 Common areas are beautifully designed – a great place for enjoying some quiet time. Villa Pattono is set in a spectacular location with fantastic views all around. Everywhere you look is a perfect picture opportunity. The area is very quiet and relaxing. Relax on the property and enjoy the stunning views. 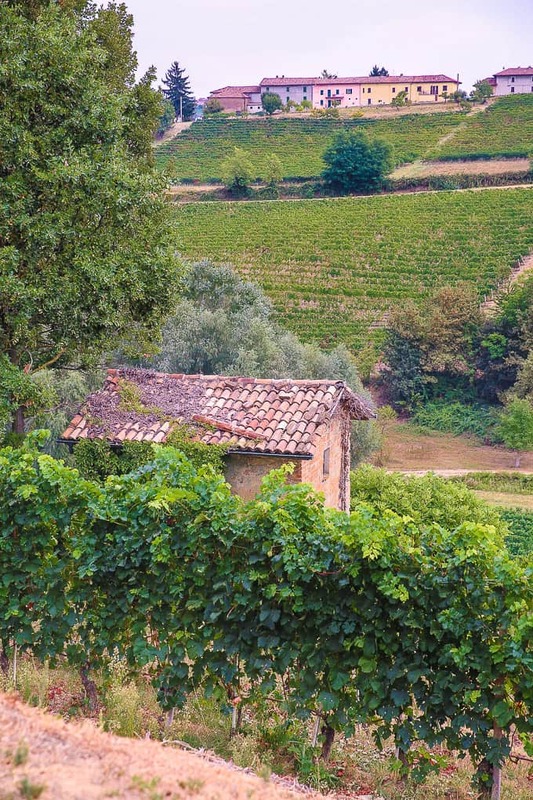 Take a walk along nearby vineyards. Relax by the swimming pool. 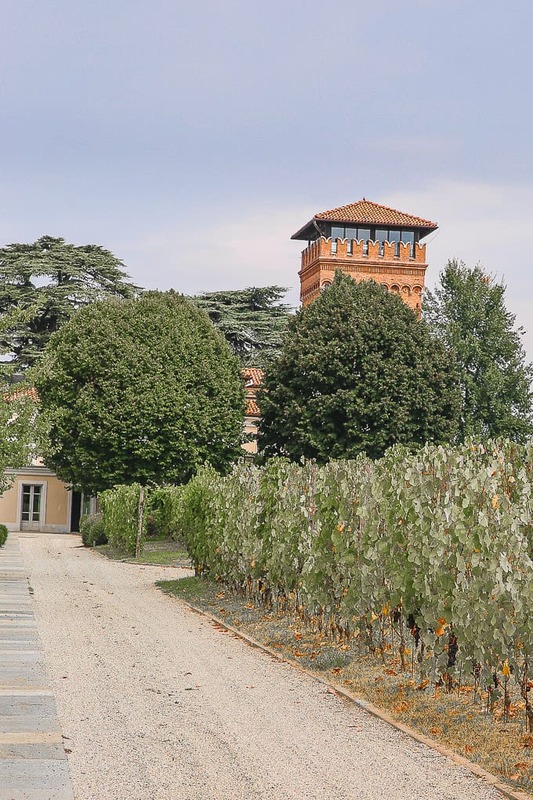 Villa Pattono is strategically located in Costigliole d’Asti between Asti and Alba. 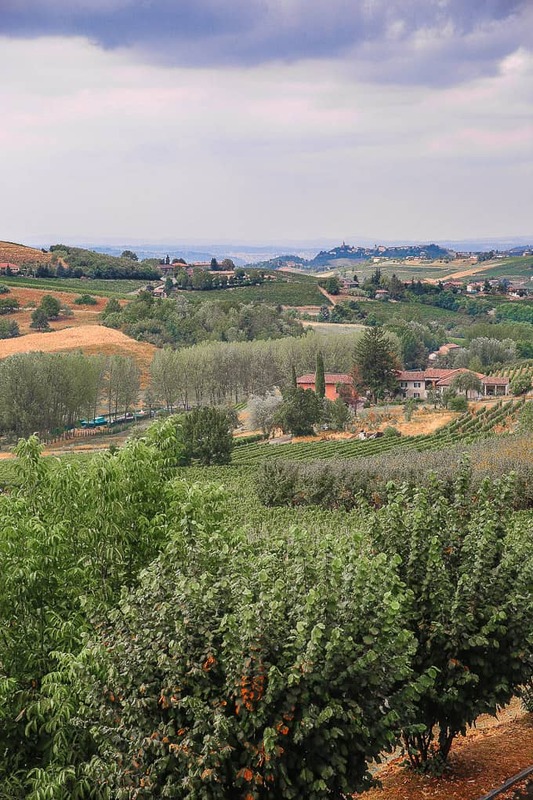 It is also close to some of the most interesting villages in the area, such as Neive, La Morra, and Barolo. Neive is a small medieval village in Piedmont that is included in the list of “I Borghi più belli d’Italia” translated as Italy’s most beautiful villages. It is a perfect place to see some history, relax, and try amazing wine! 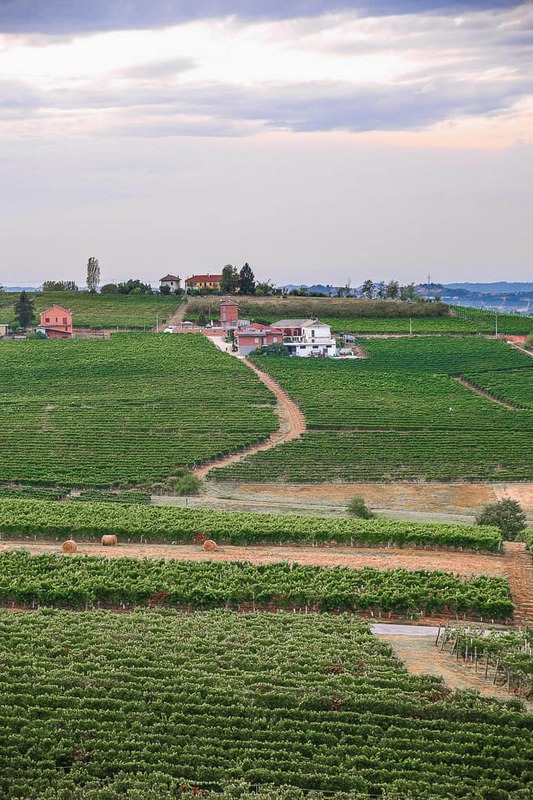 Barolo is located in the idyllic wine country of Piedmont. Barolo is famous for its wine of the same name, Barolo. La Morra is a hilltop village with the panoramic views of the Langhe area.